Go for extra tiers. 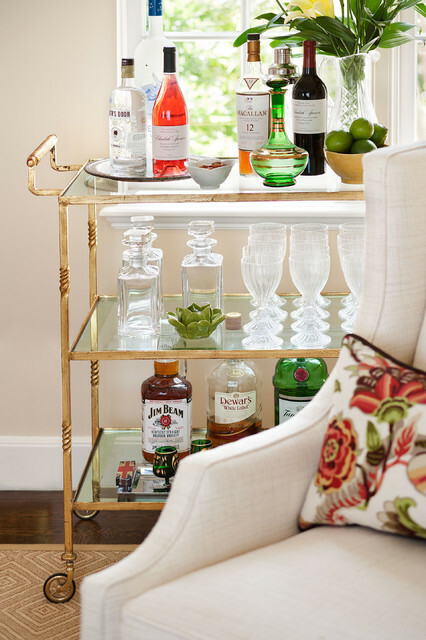 If you like to have a good selection of your favorite drinks at the ready, get a bar cart with an additional shelf, to provide more storage for the same footprint. A three-tier drinks station like this one will offer more than enough room for decanters, a tray of spirits, cocktail shakers and plenty of glassware — perfect for getting the party started.